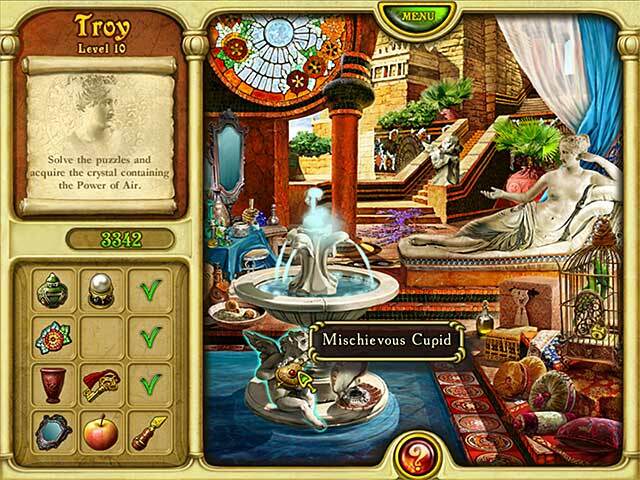 Call of Atlantis: Treasures of Poseidon is rated 3.8 out of 5 by 38. Rated 5 out of 5 by Legabriel from Excellent! Loved Call of Atlantis when it came out and this is even better! Awesome game, so many different things to do and screensavers as well. This is two games in one, and many hours of fun. Rated 5 out of 5 by dkoenes from Everything a paid game should have There is nothing worse than buying a game and finishing it in the next day or two and there is nothing left. This game DOES NOT end this way. Once you finish the story mode (which takes a little while), you can then replay all the levels at a more difficult level. Plus there is an addition area of select challenge games. This is a game that I really feel I got my moneys worth. Really fun yet still challenging. Rated 5 out of 5 by mrdillon from FUN MATCH THREE I bought this game and I get to a certain part and it throughs me off. Can you please fix this for me. Please let me know when you do this. Thank you. Rated 5 out of 5 by klbarker5363 from Extention of an old game This is an extention on the orginal Call of Atlantis. 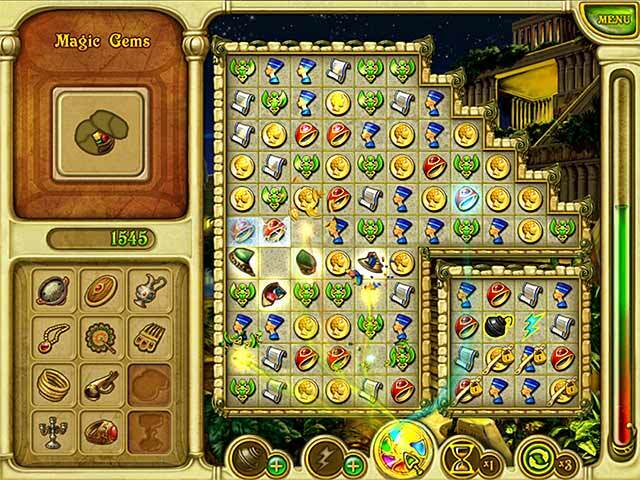 In this game you are given the option of playing the story line which is the original game and getting the the treasures of Posieden. 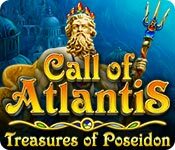 I already have the Call of Atlantis so won't be getting this game but do recommend it to anyone without the original game. It is very challenging to get the match 3 done in the time limits but enjoyed playing the trial. Rated 5 out of 5 by derbeader from Happy to see this game For those of us who have followed and played this series of games, this one is still filled with surprising challenges and fun of previous versions, yet has added new twists and turns. i didn't even bother with the trial version... purchased it outright just because i knew what i was getting. i've played the older versions over and over without losing the feeling of challenging myself on every screen. This new game however has an additional 'challenge' version... played a couple of them... and yes! they will be sure to hold my attention for quite a long time. Getting the Gold! --not as easy as it might seem. Normally i don't like being timed, but oddly enough, didn't mind it at all.... it just gave me the determination to keep at it until i can get it right. This is the challenge, yes! Rated 5 out of 5 by denenid2 from Fantastic I love this game I bought it after only a few minutes of the free time. 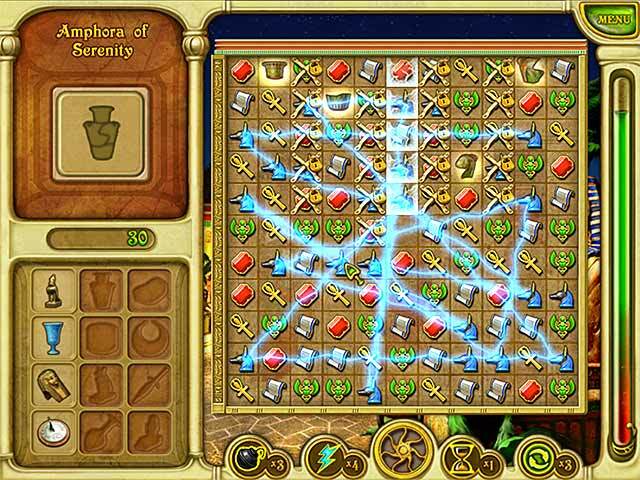 Although it is similar to the other Atlantis quests it is different enough to hold your attention. I love everything about this game and I would recommend all BF players More along these lines please. Rated 5 out of 5 by Plientje from Very nice game!! I already play this game since 2008, when this game was first released, it is 100% the same as then. Love the combination of frog and match3. But there is actually something completely new! There is a second game added, which is a straight HOG game. I played a couple of scenes and it looks really good! So I'm on the fence if I want to buy this game again just for the HOG's... I'll wait till monday and decide then. But if you don't know this game yet, try it, I'm sure you'll have fun!! Rated 5 out of 5 by truddi from Been a long time coming. This is a good follow up to a golden oldie. The graphics are very good and a pleasant story orator to listen to, and a bit of a history lesson as well. I find the difficulty as you get to higher level quite a challenge but one I enjoyed in the last version and I'm sure will come in this one too. It makes you want to solve just one more level and that for me makes it a must buy.